In January 2011 Global Insulation Magazine became a section within Global Gypsum Magazine. Here you will find links to the digital versions of the latest section of Global Insulation within Global Gypsum Magazine, back issues and registration pages. 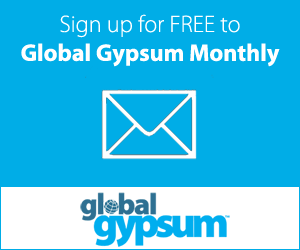 For a full editorial programme and information for prospective contributors visit the Global Gypsum magazine website.